☆ Advance Reservations Required: Yes & No; Lottery reservation system used for weekend, holidays, & opening day reservations at Ikebukuro location. Everything else is walk-in's. Hunter x Hunter (ハンター×ハンター) is a Japanese adventure/fantasy manga series with an anime adaptation as well. This collaboration will be held with Animate Café at their Kobe & Ikebukuro 3rd location for a limited time between August 10-28. Please be mindful that Ikebukuro has several Animate Cafés so make sure you visit the 3rd shop! This cafe has a lottery reservation system for reservations on weekends, holidays, and opening day at the Ikebukuro location only. Click Here to make a reservation to enter the lottery to visit this cafe on a weekend lottery applications are only accepted on 7/25, 8/01, & 8/08. Weekdays (Mon-Thurs) at the Ikebukuro location & Kobe location do not need an advance reservation. We recommend visiting on one of the days that does not require a reservation as the lottery reservation system can be quite complex. 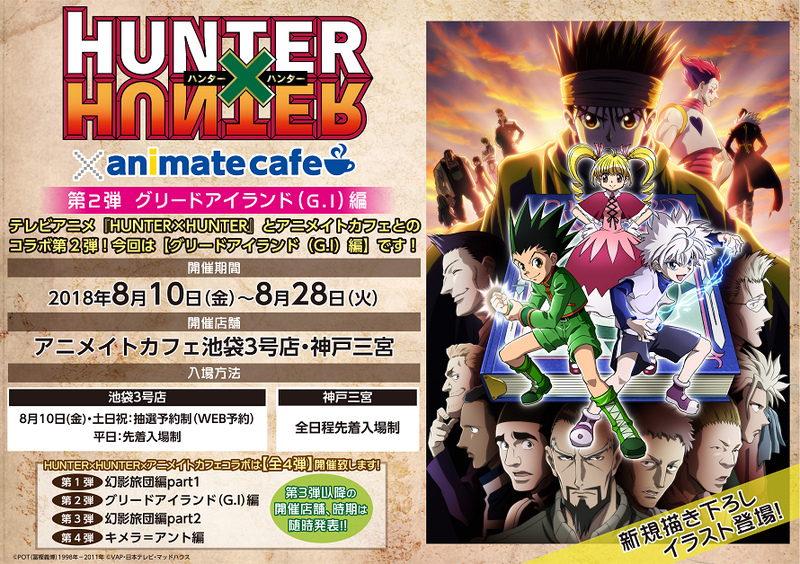 There will be a stamp card rally campaign offered for the Hunter x Hunter café as shown below. If you order ¥1,000 worth of goods/orders you spend you will receive a stamp. Every 2 stamps you receive you will get a graphic card (1 out of 6) designs at random. If you collect 20 stamps you will receive a Risky Dice Papercraft (shown in the green box below). 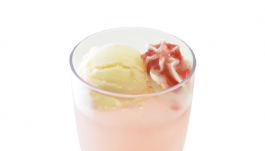 Additionally there's another campaign as shown below where if you order the following drink: 奇運アレキサンドライトソーダ (Rare Luck Alexandrite Soda) for ¥600 you will get the chance to roll a dice. If the dice lands on 大凶 / Daikyō (Super Bad Luck), you get a special acrylic card (1 out of 6) designs at random. Quantities may be limited so be sure to get it as soon as you can. 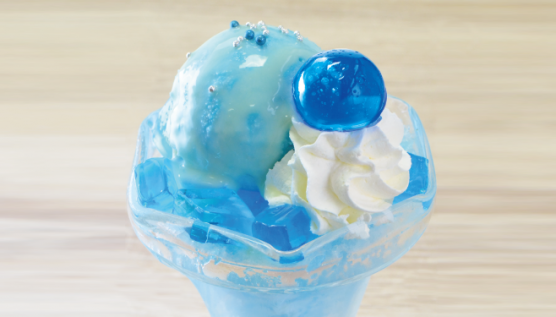 This drink also comes with a light-up ice cube. Those who order off of the collaboration food & drink menu will receive an original coaster (1 out of 15) designs at random per order.